Continuous Rosary for "Vocations to the Priesthood"
Three Popes and an Archbishop – October 11th is the Memorial of Saint John XXIII. At the death of Pius XII, he was elected Pope on October 28, 1958. Meek and gentle, enterprising and courageous, simple and active, he carried out the Christian duties of the corporal and spiritual works of mercy. His social teaching in the Encyclicals Pacem in terris (Peace on Earth) and Mater et Magistra (Christianity and Social Progress) was deeply appreciated. He convoked the Roman Synod in anticipation of the Second Vatican Council, established the Commission for the Revision of the Code of Canon (Church) Law, and summoned the Second Vatican Council. The faithful saw in him a reflection of the goodness of God and called him “the good pope.” He was sustained by a profound spirit of prayer. Pope John XXIII died on the evening of June 3, 1963, and was canonized April 27, 2014, along with Saint John Paul II. On October 14th, 2018, Pope Paul VI and Archbishop Oscar Romero will be canonized. Humanae vitae (Of Human Life On the Regulation of Birth). Saint Paul VI died on August 6, 1978. Saint Oscar Romero, Archbishop of San Salvador spoke out against poverty, social injustice, assassinations, and torture. He had face-to-face meetings with both Pope Paul VI and Pope John Paul II. In 1980, Romero was assassinated while offering Mass. Saint John Paul II was appointed a bishop by Pope Pius XII and a cardinal by Pope Paul VI. He took part in Vatican Council II. 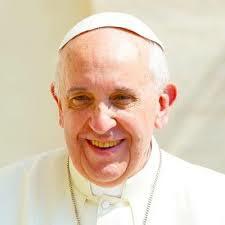 He became Pope on October 16, 1978. His love for young people brought him to establish the World Youth Days. In 1984, John Paul II became the first Pope to step foot on Canadian soil when he launched a 12-day pastoral visit. His pontificate, one of the longest in the history of the Church, lasted nearly 27 years. He died on April 2, 2005, and his Memorial takes place on October 22nd. Classes for grades 1 to 7 are held in the S.C.S.C. Thursday evening classes Mass at 6:30 pm. Catechist: Our Lady of Lourdes Parish is looking for catechists. The Diocese of Antigonish describes a catechist as one who teaches and passes along the faith to children, young people and adults. A catechist ought to be a mature Catholic who has shown, by their Christian living, that they have taken their faith seriously. They need to feel comfortable working with groups of people, especially the young. The Diocese has a Protocol. So, catechists need to complete a volunteer information form with references; a criminal record check and a vulnerable sector check and read and sign a covenant of care document. A catechist is responsible for taking advantage of formation opportunities provided by the parish/diocese. If you are interested in becoming a catechist, please contact our religious education coordinator, Laurena Greencorn. To meet the requirements of the Diocesan Protocol, please contact Fr. Barrett. The Directory distinguishes liturgical prayer from catechetical instruction. We gather to give thanks and praise to a loving God through the art of ritual-making and story-telling (in contrast to pedagogical methods applied to inform one’s faith). + Liturgy is public worship, a community’s ritual prayer. Gatherings with children are to be guided by an attitude of prayer and praise that involve the whole person. + The separate gathering place should be prepared for liturgical celebration; seasonal colors, picture to illustrate the Sunday gospel, and candles, all placed to highlight a central display for the book of God’s Word. Mondays at "Our Lady of Lourdes"
for "vocations to the Priesthood"
The Finance Committee has lost two special members of their team in the past year and are searching for replacements. Please consider being a part of the Finance Committee by contacting Russ Oehmen, Fr. Barrett or any member of the committee for further information. Catholics presently registered in the parish who have a sense of faith and who are aware of their responsibility of providing financially for the needs of the Church. Well acquainted, or willing to be acquainted, with the civil, canonical and diocesan regulations relating to the temporal administration of the parishes. Thoroughly acquainted, or willing to be acquainted, with business, financial, and administrative procedures. The monies raised will be sent to each diocese, which will use these revenues to help pay its annual contribution to the Canadian Conference of Catholic Bishops (CCCB). The Diocese of Antigonish was required to make a payment for 2018 of $48,950.00. parishes for the past five years. continue to be alert about the horrific issue of child sexual abuse. As well, we need to seek and ensure that our leaders follow the example of the Good Shepherd. These are difficult times for all of us. These experiences have triggered memories of our own Diocesan experience with child sexual abuse. As we know, our Diocese made a commitment to victims and their families in an attempt to acknowledge the abuse by some of our clergy. Moreover we have tightened our policies on misconduct so that any complaints are immediately referred to the local police for investigation. Our emphasis on Responsible Ministry contributes to an environment of care for all in our parishes. were inspired by those celebrations. 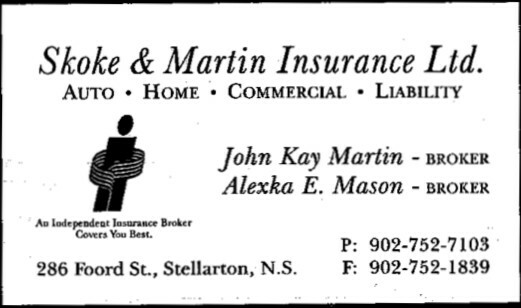 Sydney and Glace Bay Deaneries). At each gathering, we will gather for hospitality at 8:30 am and for prayer at 9:30 am, enjoy video presentations of our Diocesan history since 1844, and share our stories. The videos promise to bring back memories of years gone by and should be enjoyable for all. Each day will end at 2 pm. There is no cost for these days. These regional gatherings will be wonderful opportunities to reflect on who we are as people of faith, living in various rural and urban areas, facing the challenges of our days, and living in the hope that sustained our ancestors. The Diocesan community of faith, to which we all belong, is strengthened by our stories of faith, of God’s faithfulness and by how the story continues in us today. purposes of providing lunch, you are asked to register with your parish priest one week before these celebrations so we can have a headcount for meal preparation. to Montreal during March break 2019 as well as offering faith formation gatherings in the different deaneries. We will close this year of renewal with a Diocesan Gathering on September 15, 2019, with a special speaker, a diocesan Mass and intercession to our diocesan patron, St. Ninian. consider what he or she might do for the renewal of the parish and the church. As well, each parish must take corporate responsibility for the renewal of its community of faith and so I urge all parishes to consider how they need to be renewed during the coming year, especially as missionary disciples. fidelity as we respond as missionary disciples in our daily lives. Fund-raising: See "Capital Projects Fund announcement"
Purpose: To come together in silent prayer being a visible “voice” for those unborn, the sick and aged, and those whom society sees as a burden. To create awareness on protection of life and effects of abortion. Event to take place rain or shine. Stamps may be placed in the small basket at the back of the church. Fr. Barrett (755-3688) or Russ Oehmen (752-3045) about taking on this vital role. has many different programs to fit any schedule, something for everyone! Come be part of Alpha! Alpha gatherings, where we share the basics of Christian faith, are wonderful ways to build faith communities. There is even an Alpha for Youth. This one evening of training will give you the information to participate and host an Alpha in your area. Training is free. Please register by emailing Norma Blinkhorn at normablinkhorn@hotmail.com. The First Spiritual Exercise (FSE) is a four-week retreat in daily life that is experienced mainly at home. This retreat, similar to the ones held in the Parish Pastoral Centre is presented in a unique and simple format involving a commitment to daily prayer. Praying the First Spiritual Exercise retreats can bring us swiftly back into relationship with a personal God and the true meaning and direction of our life journey. Participants meet for orientation on October 7, 2018 followed by weekly sessions October 14, 21, 28 and November 4, from 1:30 to 3:30, at the Pastoral Centre, 5300 Union Highway, New Waterford, to share their experience in spiritual conversation facilitated by trained guides Gary Fancey, Winnie Odo and associate Hugh MacDonald. Gary and Winnie are trained spiritual directors in Ignatian Spirituality and took the training at Villa Madonna, Rothesay N.B., by the author of the book Fr. Michael Hansen S.J. three years ago, during a weekend conference and workshop that began on Sunday through to Sunday. This 4th Retreat will take place at the Pastoral Centre for the Parish of Saint Leonard on 5300 Union Highway in New Waterford. This will be our 4th retreat – we have presented three others in the spring and fall of 2017 and the spring of 2018. The cost for the retreat is $30.00 which includes the book. For those who already have the book, a free will offering (optional) would be welcomed to offset expenses. Please consider experiencing this journey into “Inner Peace in the Service of God”, no previous pre-requisites are required and financial help is available. Register on or before September 23rd, 2018 to facilitate the ordering of books. For more information or to register, contact: Winnie Odo, 902- 862-2330 or Gary Fancey, 902-862-7580. Many of us want to make a difference through our living, but have you considered how you might make a difference in your dying? difference by leaving a lasting legacy through the Dalhousie University Human Body Donation Program and the Maritime Brain Tissue Bank. and Dr. Sultan Darvesh, Director, Maritime Brain Tissue Bank. 9:30am - 3:00pm with lunch provided and no charge. This is sponsored by the Diocesan Liturgy Office. And all who desire to invite, accompany others who wish to discover the Catholic Faith. Please see brochure posted in the church and the SCSC for more full schedule, contact information, etc. and distribute this information as widely as possible. THANK YOU!! Three Regional Gatherings this autumn will open our year of events, which will also include Lenten parish missions and a diocesan-wide event for the Feast of St. Ninian, Sept. 16, 2019. All celebrations are 9:30 am-2 pm. Lunch will be provided. Join us at one, two or all three events to learn more of our history, discuss parish life and consider: How is God speaking to us now? What are we being called to? 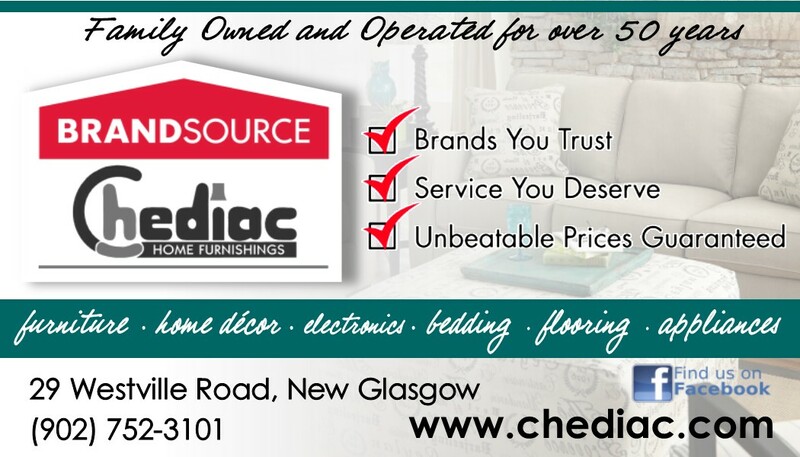 Watch for more details in our newsletters and on our website. Mother of Sorrows Pioneer Shrine this year. The Shrine remains open year round. The gift shop will be closing for the season on October 20th, 2018. If you have a request please call 902-945-2221.
or Betty Lahey at 902-270-0891.
published by the Canadian Conference of Catholic Bishops. at St. Anthony Daniel Church, Sydney. She taught music in the school system, has been involved with the Cape Breton Choral from its beginning. In August 2016, Rose Mary received the "Katherine McLennan Award " for her contribution to Cape Breton’s musical Community.” This workshop is of particular significance to cantors, choirs, instrumentalists, clergy and interested parishioners. 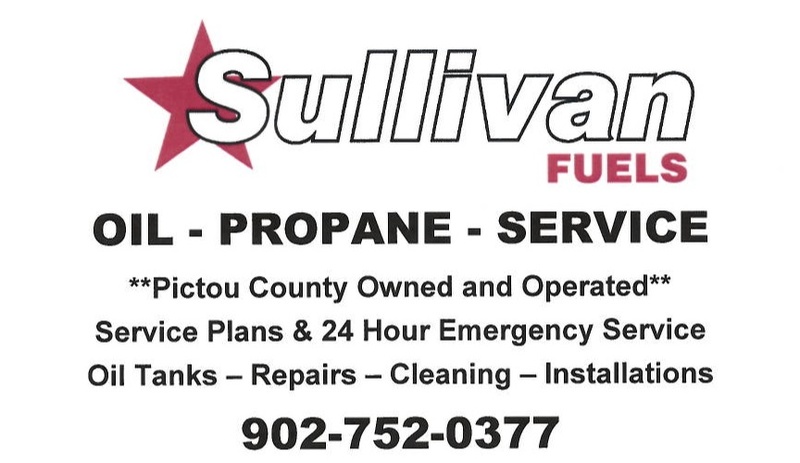 Please confirm your attendance to the Parish Office (902) 695-3433 by October 15th Thank-you! Choose Life is an informative, inspiring, non-judgemental conversation focusing on life, not abortion. All welcome, suitable for ages 12 and up, or at parents’ discretion. Free will offering to purchase much needed baby food and diapers for the food bank. Refreshments provided. In celebration of the October 2018 Synod in Rome, 'Young People, the Faith, and Vocational Discernment" we welcome young adults to dinner with our Bishop on Monday, October 29, 2018 at St. Theresa Parish, Sydney. Seating is limited so reservations are required. Contact Cathy at youthministry@dioceseofantigonish.ca for more details and to book your reservation. To receive our on-line bulletin by e-mail every Friday afternoon, please send your request to lourdes@ns.sympatico.ca. You will be added to our list and you may cancel at any time. Want to subscribe to our Diocesan monthly e-news & weekly Monday mail-out? then click on "subscribe" for delivery. Dear brother priests, deacons and laity, Mass For Shut Ins will be airing at 9:30 am, on October 21st and 28th. I am happy to say that the month of October is already booked up. Looking for November and beyond. We are in need of priests, deacons, parishes, choirs and groups to come forward to celebrate Mass. We are the longest running TV program on CTV in Canada. SO many depend on this Mass for Spiritual nourishment every week. I receive SO many letters thanking our diocese for this Mass. Please contact Mae Rowe and book a weekend live or taped. Shut-Ins. I would love to see priests outside of the CBRM to come. We broadcast live on Sundays. at the CTV Studio on George Street, Sydney. We need Parish Priests, parish communities and groups to book a weekend Mass as soon as possible. Last year we did very well but it was a slow start. I ended up presiding at many Masses, we had to find congregations and ask choirs to come in and assist us. So it is my hope that we will have many weekends booked before we begin in October 2018. Thank you for the support you give to Mass for Shut-Ins. I look forward to working with you and your parish or parish group in the near future. Please feel free to contact me if you have any questions. Mass for Shut Ins has completed its 55th season and will be back on the air in October 2018. It remains the longest running television program on CTV in Canada. The Diocesan Pastoral Centre Office now offers donations cards to be given as gifts in celebration of birthdays, anniversaries, graduations, promotions, retirements, weddings .....and so on. Cards are available for purchase at the Diocesan Pastoral Centre, 200 Churchill Drive, Suite 103 in Membertou, Sydney. All proceeds will go toward the productions costs of Mass for Shut Ins. Receipts will be provided. Their annual contributions make this bulletin and other essential parish work possible. 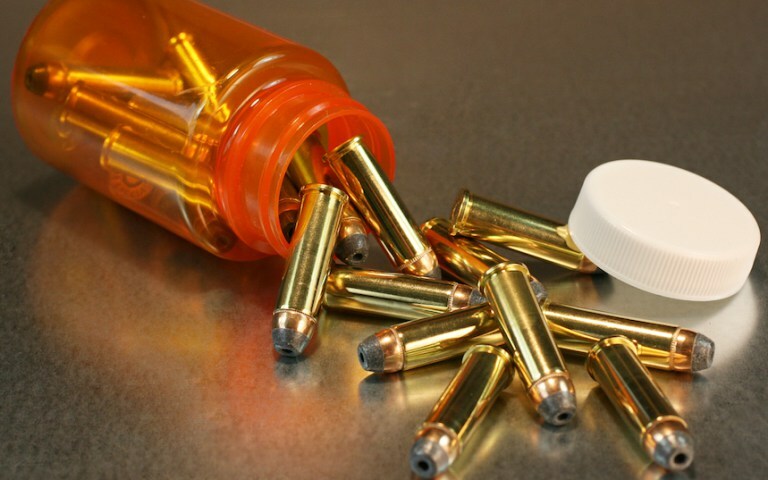 Did you know: that 30-40% of hospital visits are due to taking medication improperly? - Blister packaging, offered by some pharmacies, can organize multiple prescription and non-prescription medications into single-dose packets. Let us allow the Holy Spirit to clothe us with the weapons of dialogue, understanding, the search for mutual respect and fellowship! The Lord draws good out of evil through His power and His infinite creativity. Let us pray that programs for development may predominate in the world, and not those for weapons. I hope that a new phase may open up in China, that will help to heal the wounds of the past, restore and maintain full communion with all Chinese Catholics, and take up the proclamation of the Gospel with renewed commitment. Life Legal uncovers shocking facts about California assisted suicide law (Link). Caring Not Killing (UK) welcomed Court of Appeal assisted suicide decision (Link). Euthanasia increases by 30% in Canada (Link). 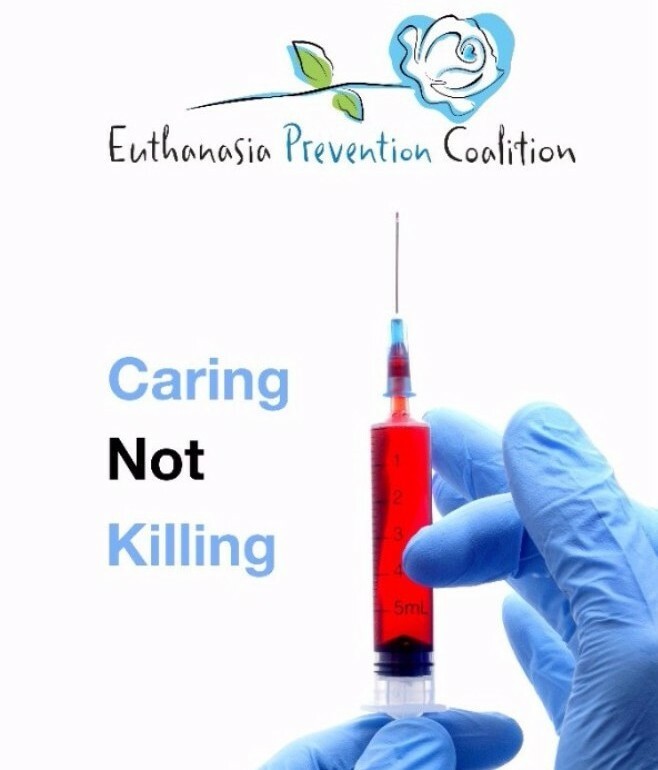 Become a Euthanasia Prevention Coalition member $25. More than 100 viewing codes were sent out for June 26 and Kevin Dunn sold-out at his Cineplex screening on June 25. 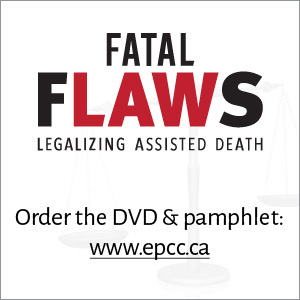 We have sold 700 Fatal Flaws DVD's and thousand's of pamphlets. Order Fatal Flaws DVD's and the pamphlets (Link). Order the Caring Not Killing pamphlets or the Shedding Light on Assisted Suicide pamphlets. Order information. 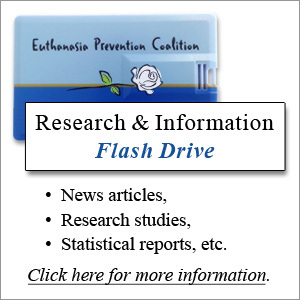 Copyright © 2018 Euthanasia Prevention Coalition, All rights reserved.